by Mary Cosmo, Esquire.In Environmental. A Supreme Court case over a lawsuit brought by agribusiness giant Monsanto against a farmer for the use of patented seeds could have deep intellectual property ramifications for the nation’s burgeoning biotechnology sector. At question is whether the patent Monsanto holds over their “Roundup Ready” soy seeds extends to the self-replicated progeny of those seeds. The high court will hear arguments in Bowman v. Monsanto sometime during the current term. Normally, purchasers of Monsanto’s famous soy seeds, which are genetically modified to withstand Roundup herbicide to make it easier for farmers to control weeds in their fields, sign a contract that they will not save any of the beans they produce for planting. Instead, farmers have to buy a whole new crop to plant each year from the vendor. That’s exactly what Indiana farmer Vernon Bowman did since he began using Roundup Ready soy in 1999 — for his first crop of soy each year. However, Bowman also grew a second crop on his 299 acres after he harvested the first, and rather than shelling out the cash for Monsanto seeds he just bought commodity seed from a local grain elevator. For subsequent years, Bowman saved some of the beans he grew using the commodity seed to plant the next year’s second harvest. The catch was, some 90 percent of soy in the region is Roundup Ready, so the commodity seeds that Bowman purchased already contained the genetically modified beans. That meant he was saving GMO beans and replanting them, which is what Monsanto had attempted to forbid in its licensing agreements. 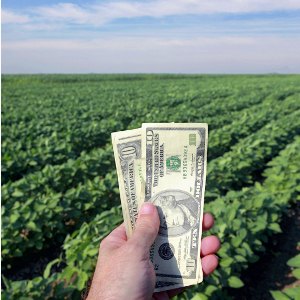 Monsanto sued, and won a $84,456 decision against the farmer in 2009. Bowman appealed, arguing that farmers such as himself were free to sell their crop to grain elevators, with no restriction on how the elevators could then resell them. At that point, his attorneys asserted, the patent could no longer apply. A lower court ruled in Monsanto’s favor, leading the 74-year-old farmer to bring his appeal all the way to Washington D.C.
via Supreme Court Hears Arguments on Genetically Modified Foods | Lawyers.com – JDSupra.